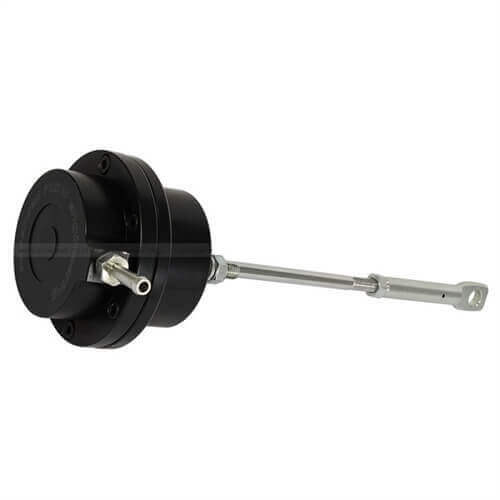 The GT Series wastegate actuator upgrade is constructed out of light weight black anodized CNC 6061 billet aluminum for maximum strength and style. 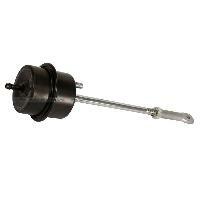 This wastegate actuator uses a fully adjustable actuator arm with locking jam nut for precise boost pressure settings. 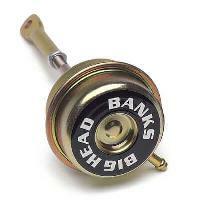 This unit come preset to 40 PSI and require no modification of turbocharger for a hassle-free installation. 6061 Billet Aluminum Construction:Constructed from 6061 billet aluminum precision machined for light weight, high strength and perfect fit and finish. 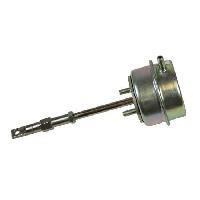 Heavier Spring & Larger Diaphragm:Keeps wastegate valve seated longer which improves power, torque in mid-range acceleration and prevents wastegate creep. Hassle-Free Installation:This is a direct bolt-on upgrade, all necessary hardware included with all connections to the turbo compatible with the OE geometry for a quick, hassle-free installation. Note: Not legal for sale in California or use on vehicles registered with the California Department of Motor Vehicles.